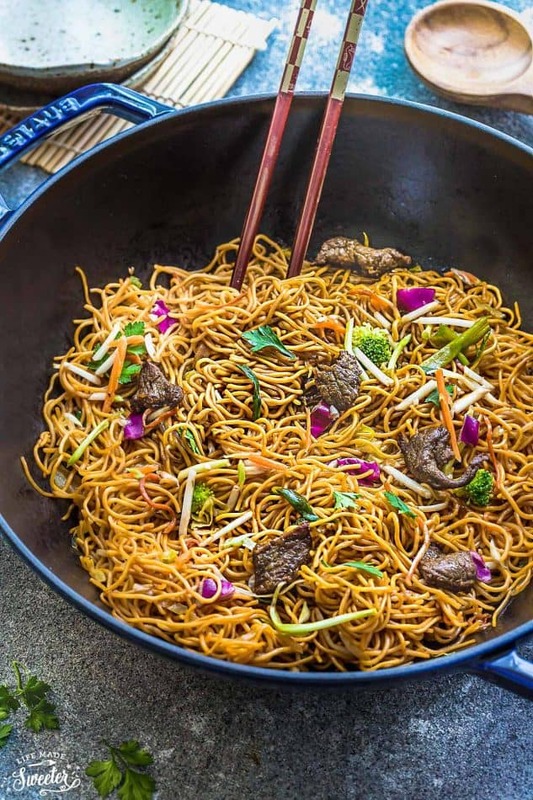 This Beef Chow Mein has all of those amazing restaurant takeout flavors and is made in just one pot. 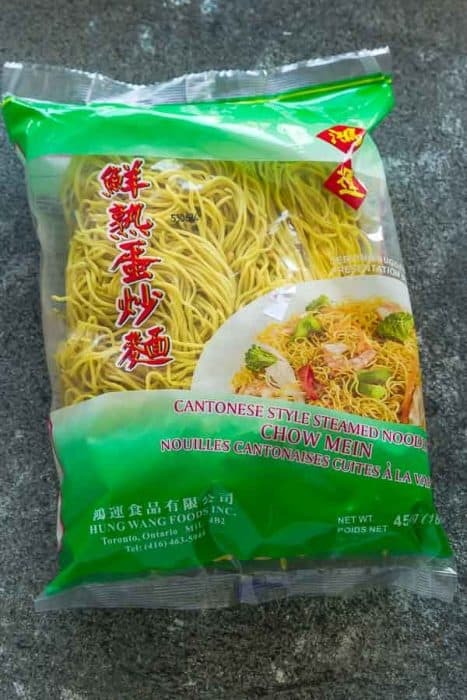 Dried ramen, yakisoba noodles or very thin pasta would also work if that’s what you have on hand. Just be sure whatever you use, measures out to about 8 ounces (about 225 grams – 2 cups) when cooked. Swap out the beef for your favorite protein – shrimp, chicken, pork and fried tofu work great in here. 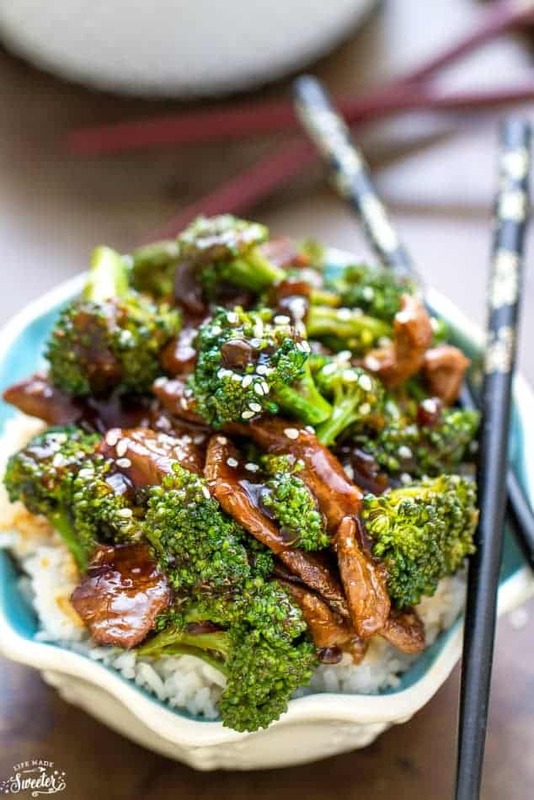 Use your favorite vegetables – Nappa cabbage, carrots and mung bean sprouts were used in this recipe but bok choy, broccoli and snap peas work equally as well. For easier weekly meal prep – The vegetables can be prepped ahead of time the day before and stored in a zip-top bag or airtight container. 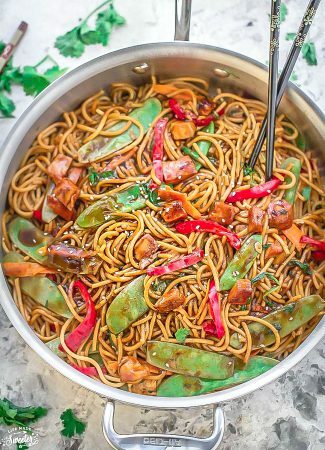 Try adding a couple teaspoons of sriracha sauce or some crushed red pepper flakes to spice things up. 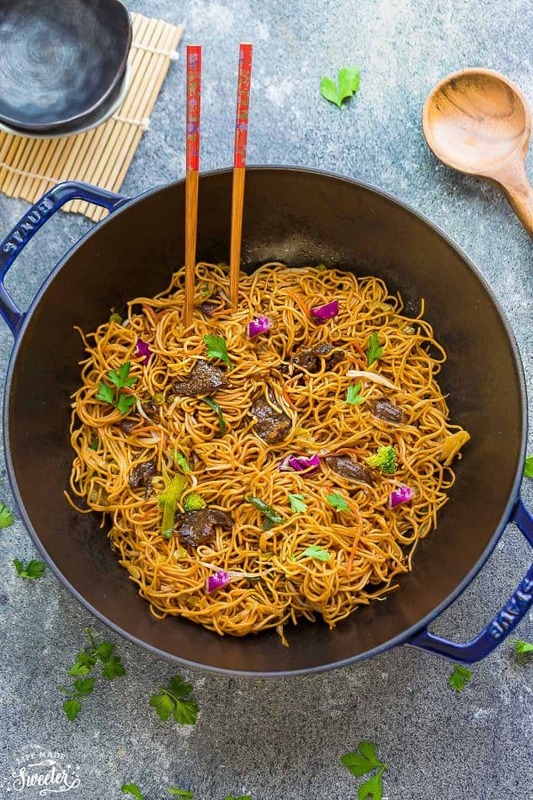 Beef Chow Mein Noodles is made in one pan and full of authentic Cantonese flavors! 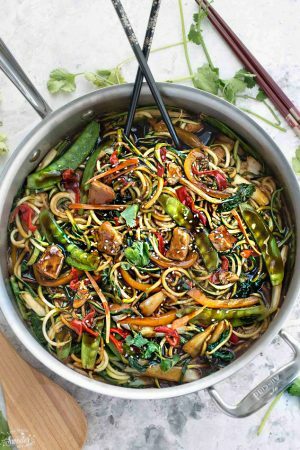 In a medium bowl, whisk together all the ingredients for the sauce. 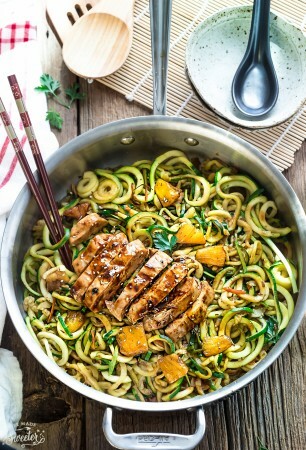 Measure out 1/2 tablespoon and drizzle over chicken in a separate bowl. 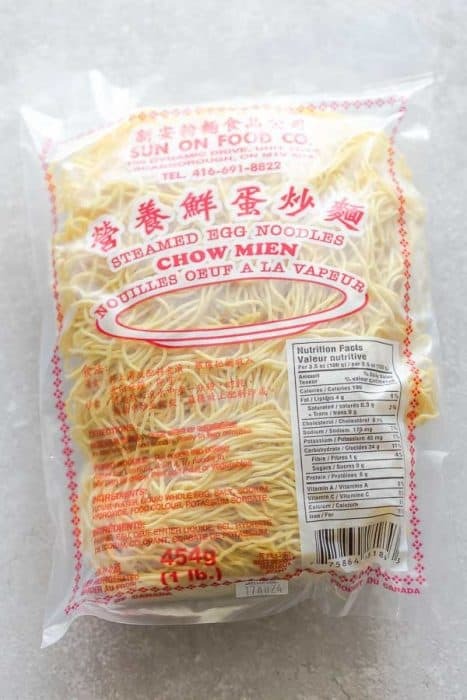 Meanwhile, prepare noodles according to package instructions and set aside. Heat 1-2 tablespoons of cooking oil in a large skillet or wok over high heat, for about 2 minutes. The pan needs to be hot enough that you start seeing a little bit of smoke rising. Quickly add the beef to the smoking pan and spread the pieces out to a single layer allowing them to sear and brown. Season with salt, black pepper and cornstarch. Cook until the meat is no longer pink (about 30 seconds making sure not to over cook). Quickly transfer beef to a serving plate and set aide. Add the same pan back to the stove and turn the heat to medium high heat. Add the remaining oil and let it heat up then toss in the broccoli, cabbage, ginger, garlic and carrots and saute for 2-3 minutes, or until tender crisp. 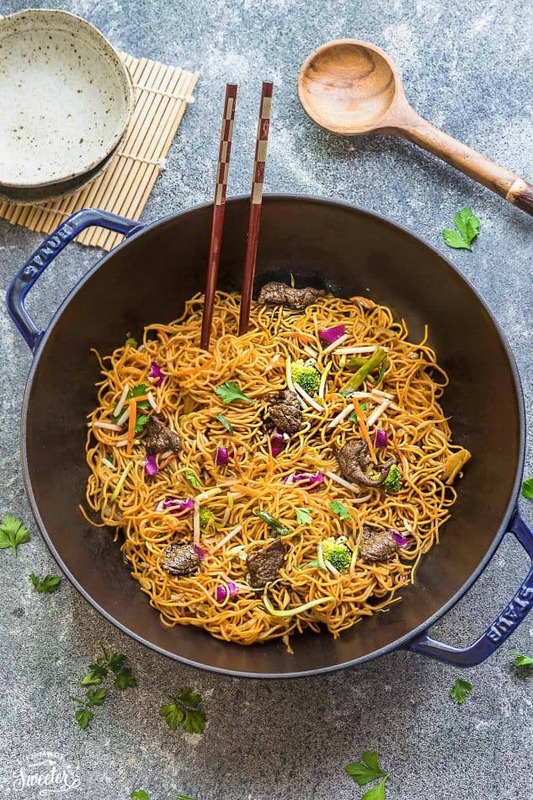 Add the beef and the noodles into the pan; give the reserved sauce a quick stir then pour over noodles. 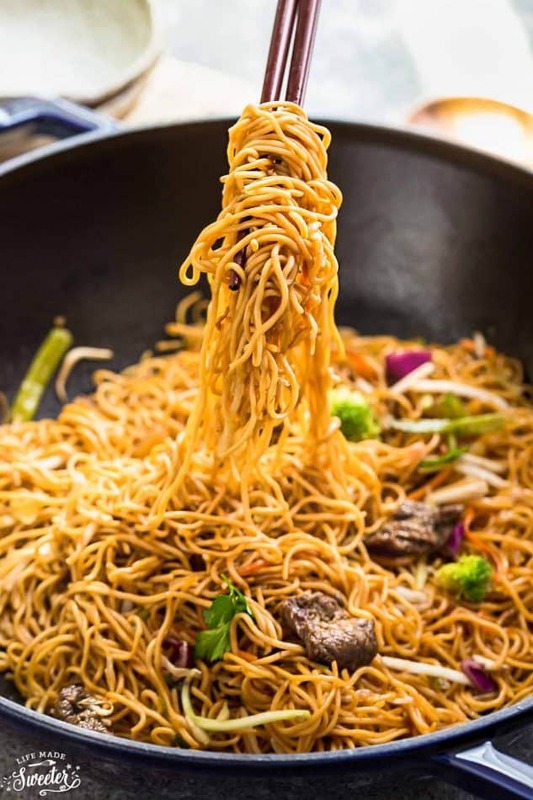 Use tongs to toss noodles to coat with sauce. Season with more salt, pepper or Sriracha and add more water to thin out sauce, as needed. 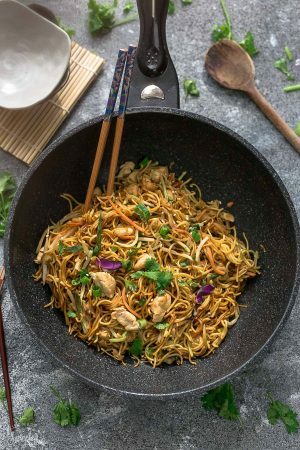 Stir in bean sprouts and green onions, stirring for 30 seconds to combine then dish out and serve hot topped with sesame seeds. For meal prep - divide into even portions in containers and store in fridge for up to 4 days. Reheat any leftovers in microwave or on stovetop. *Beef can be swapped out for shrimp, chicken or tofu.